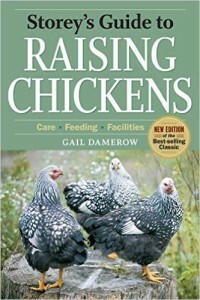 For beginners, one of the main issues in raising chickens is proper feeding. This includes the right food proportions, the kind and the quality of the feed, and heating some of the feeds. 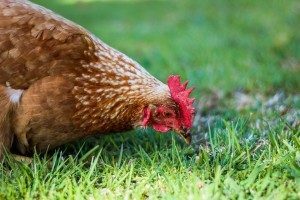 One common worry is that your chickens could starve because of improper feeding in one way or the other. Relax – you really don’t have to worry about this. Chickens are generally low maintenance birds, even though they may be prone to some diseases and pests. Chicken will eat just about anything. They will scratch for worms, they are happy with people leftovers, they love pellets, seeds and vegetables, peels, bugs and slugs. They are just as happy eating bread while pecking at a cockroach, and when something is not right with them, they will eat grass and even pebbles. They are most content when they range around for food and they will know what to eat and what not to every time. On the other hand, people could prepare the fanciest feed for them but if they do not want it, they will avoid it. There are two main types of feeds. The first and most important is corn mixed with other seeds. The second is pellets. There are three kinds of pellet feeds. The layers mash, pellets, and crumbled pellet. These variations typically have similar composition. The different names are only to identify the grade of the milling. Layers mash for example is crushed to almost powdery consistency to make it easier for chicks to peck and digest. The crumbles are milled to rough consistency and are ideal for young chickens while the pellets are good for the full grown birds. Chickens can get by very well with one measure of mixed corn with one measure of pellets. If you can throw in other food, they will pretty much eat that too, and if they do, there is no cause for worry. Chickens eat grit too. They need grit to aid their digestion. If you do not provide them that, they would be pecking pebbles. To prevent that, you can purchase grit at a farm supplier, or you can make grit yourself. To do that, roast eggshells in your oven until they are brown, pound it (not too powdery), and mix it with their meal. One of the things that you should NOT feed chickens is grit prepared from oyster shells. Oyster shells, even when prepared in similar fashion to those of the eggshells, will always have rugged and sharp edges. Once in a while, if possible, let the chickens roam around (with supervision of course). This will help provide more variety to their diet, in addition to some helpful stimulation and exercise. Chicken feeding is never complicated, especially with a little care and attention. Simple steps like this can keep your flock healthy and happy, and provide a steady supply of eggs for the table or for hatching. Relax and enjoy your new pets.